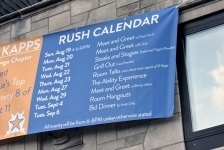 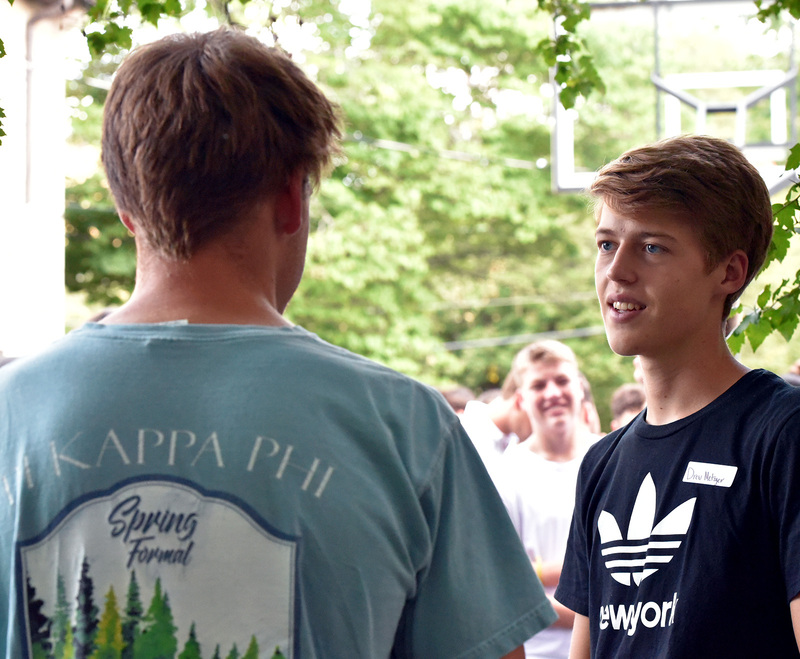 The start of the fall new member recruitment process was a very busy one at Pi Kappa Phi. 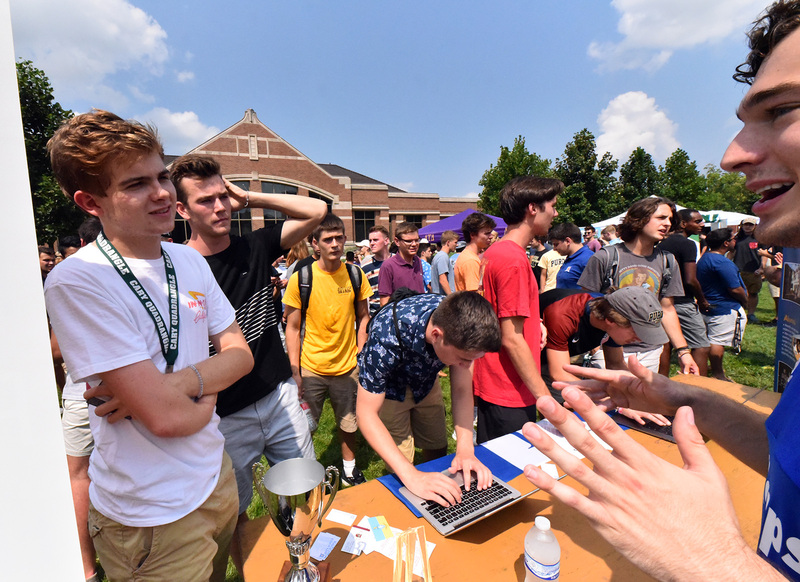 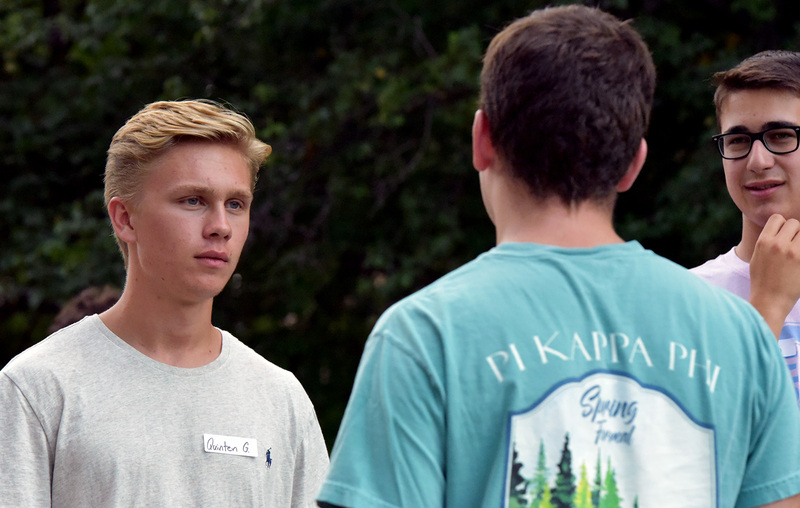 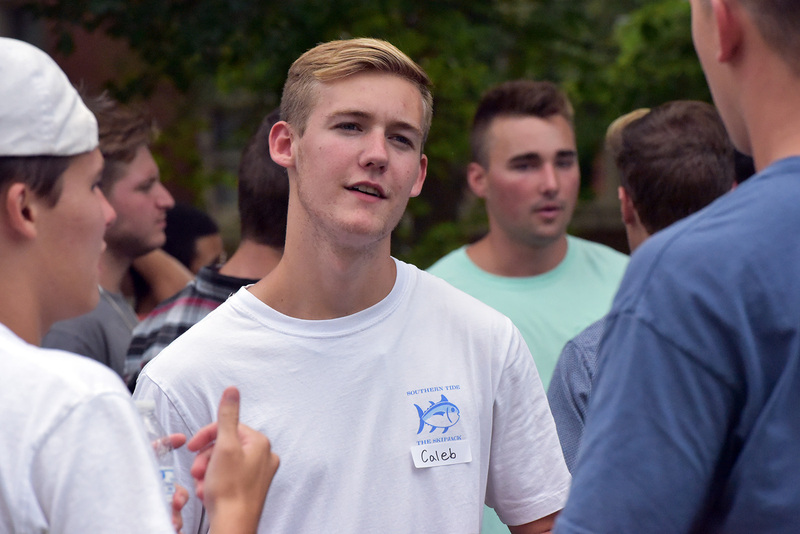 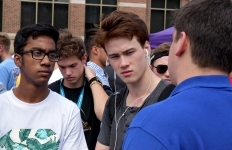 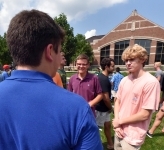 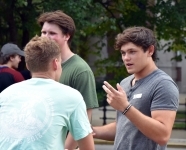 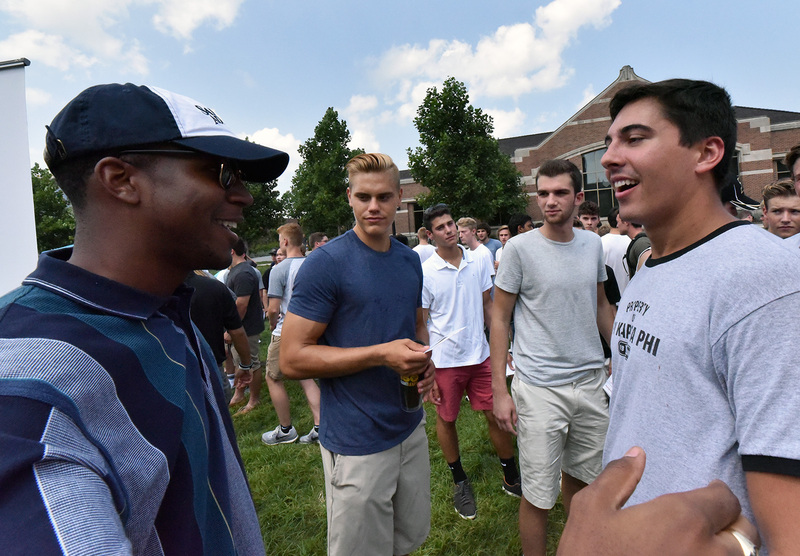 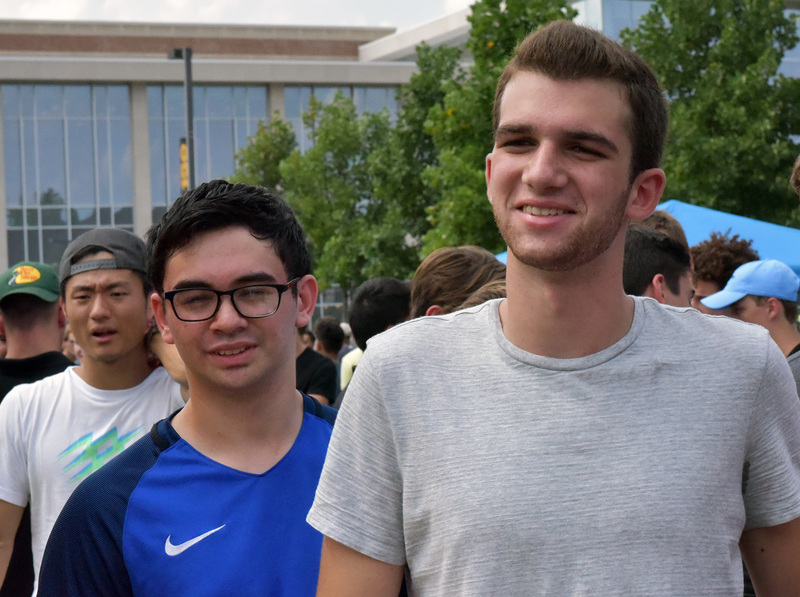 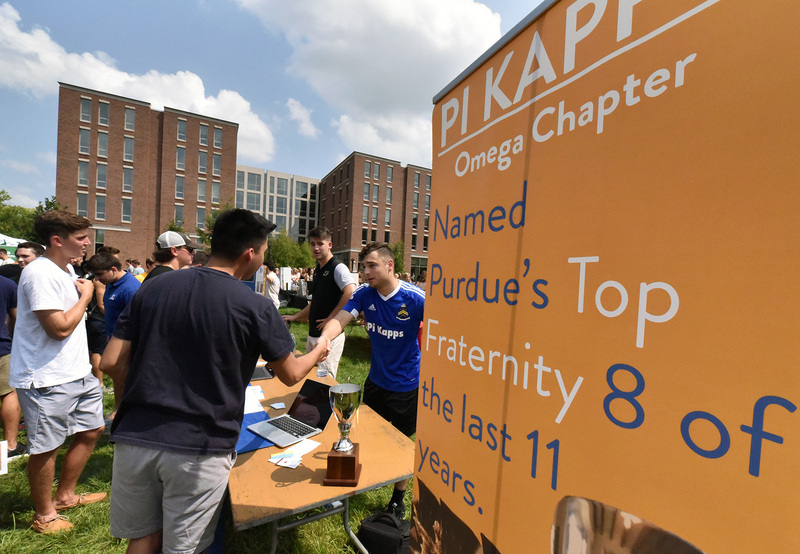 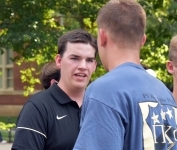 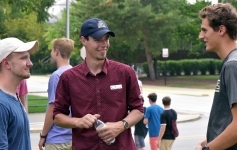 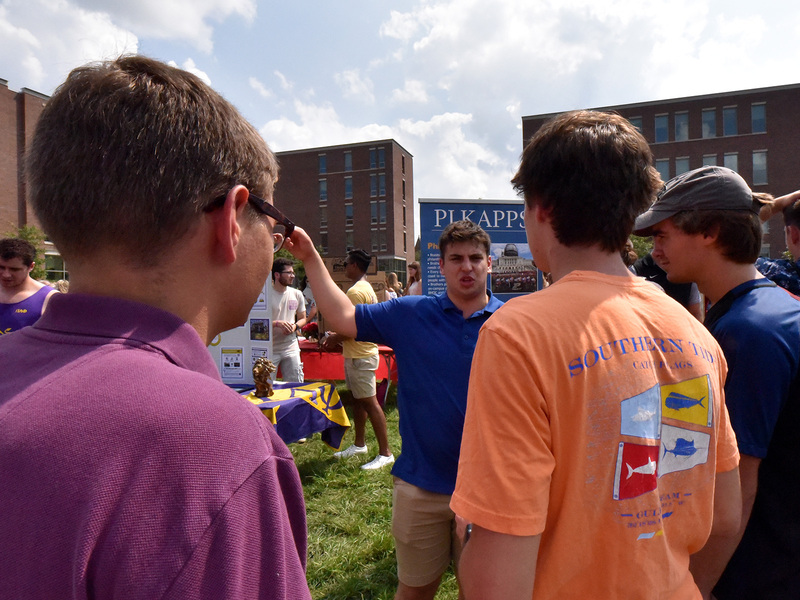 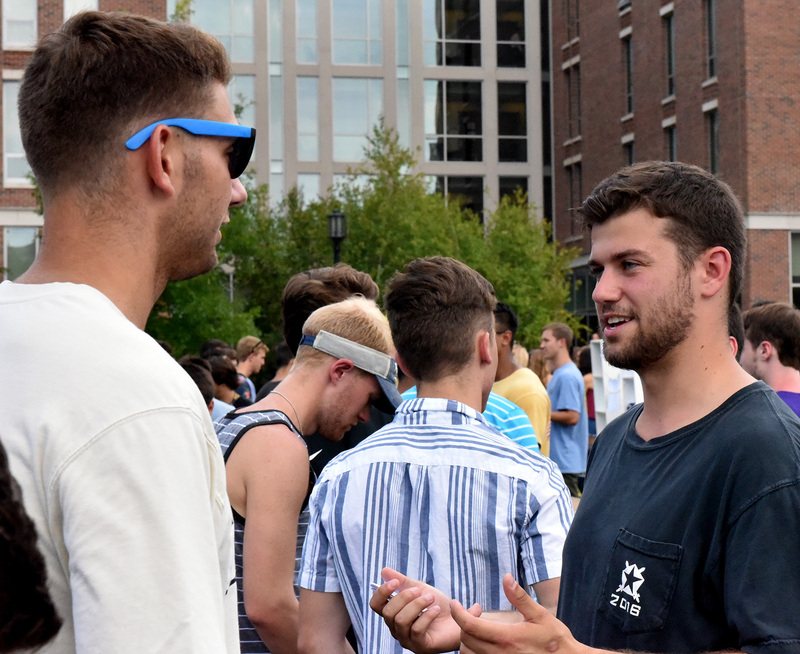 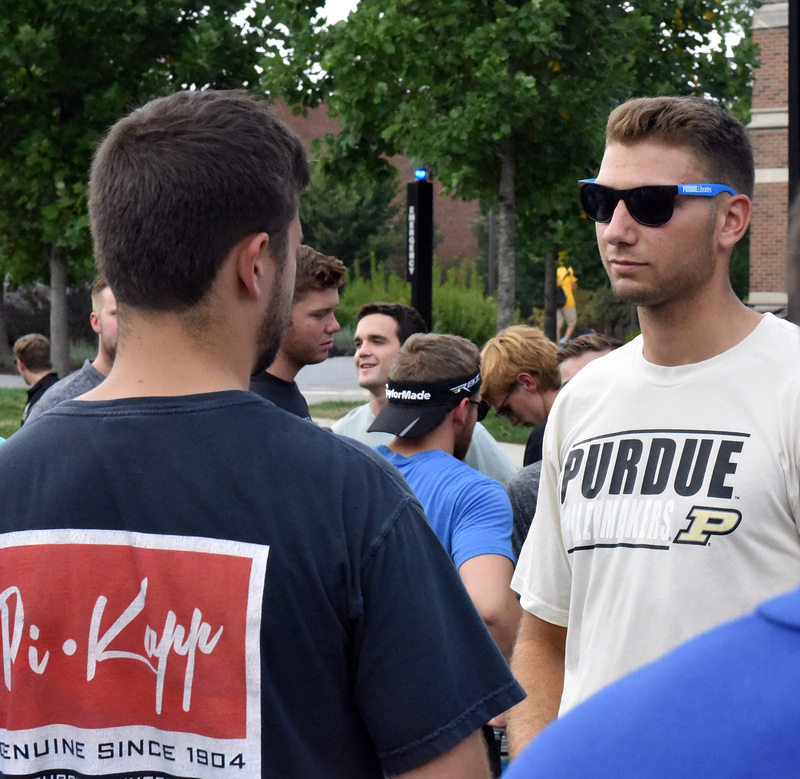 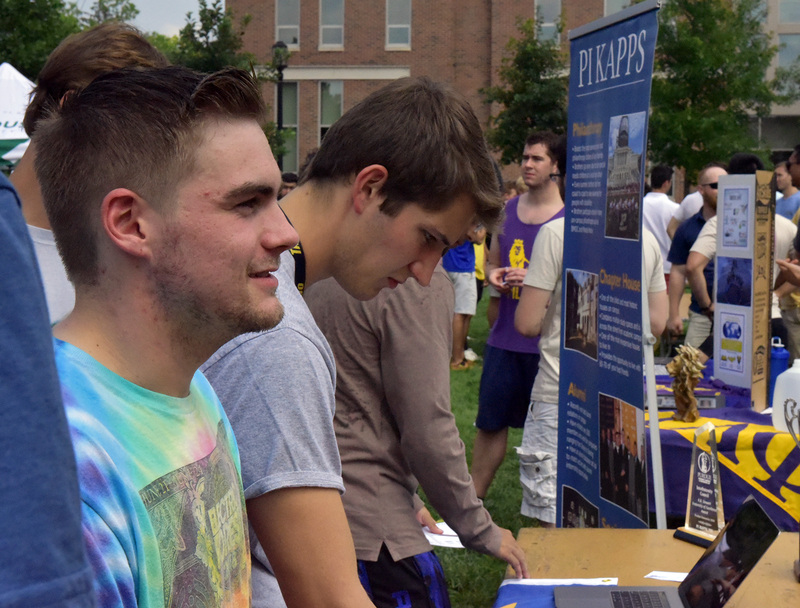 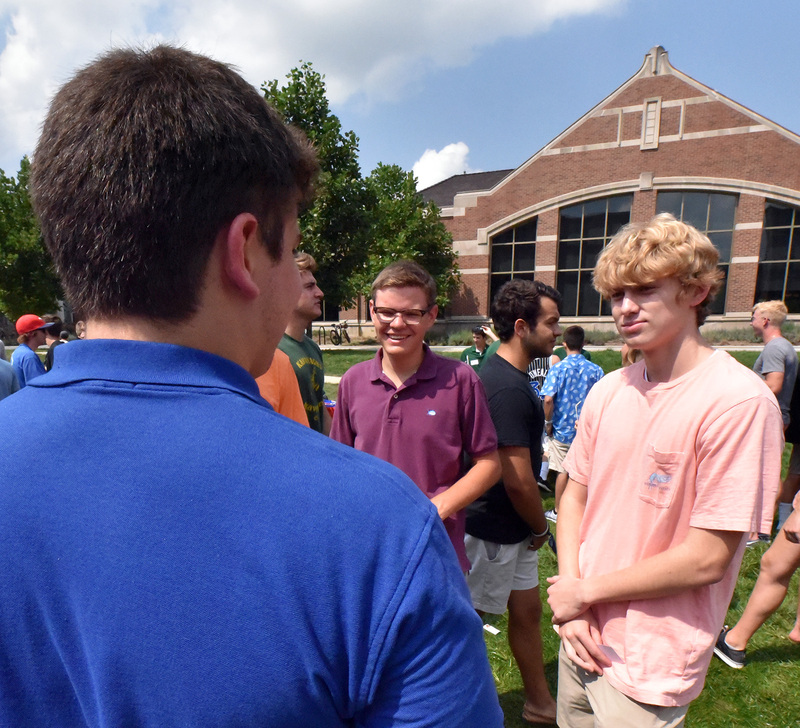 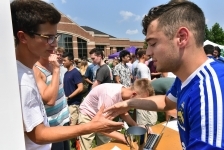 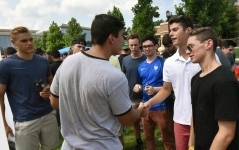 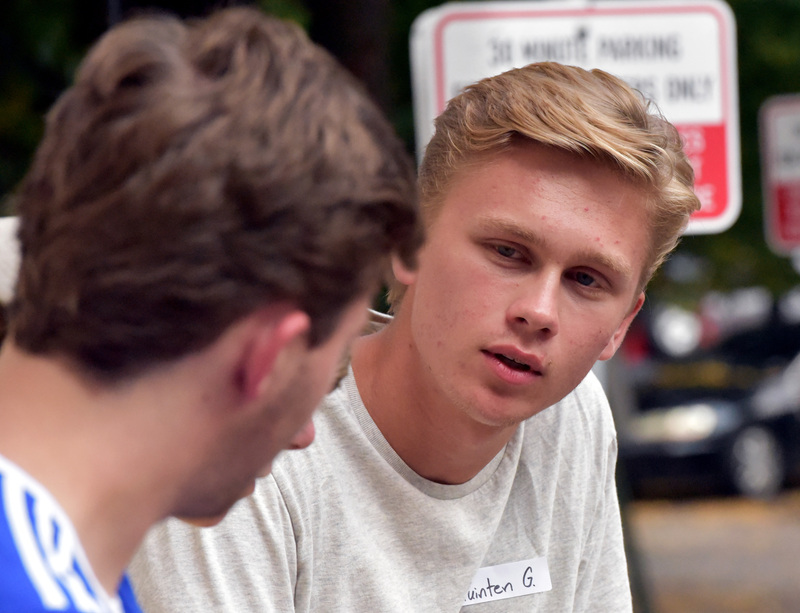 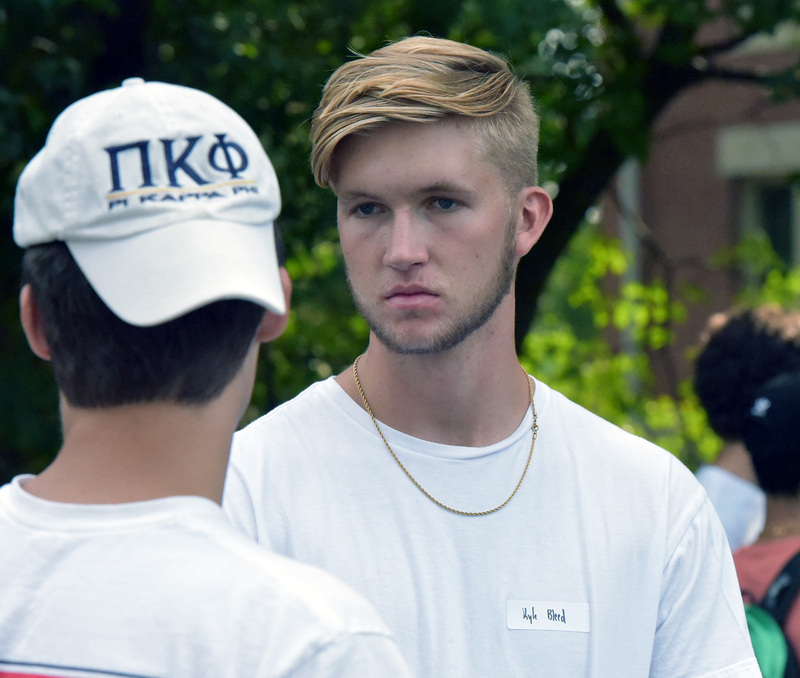 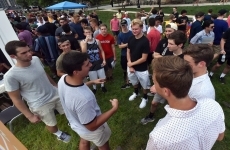 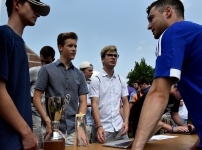 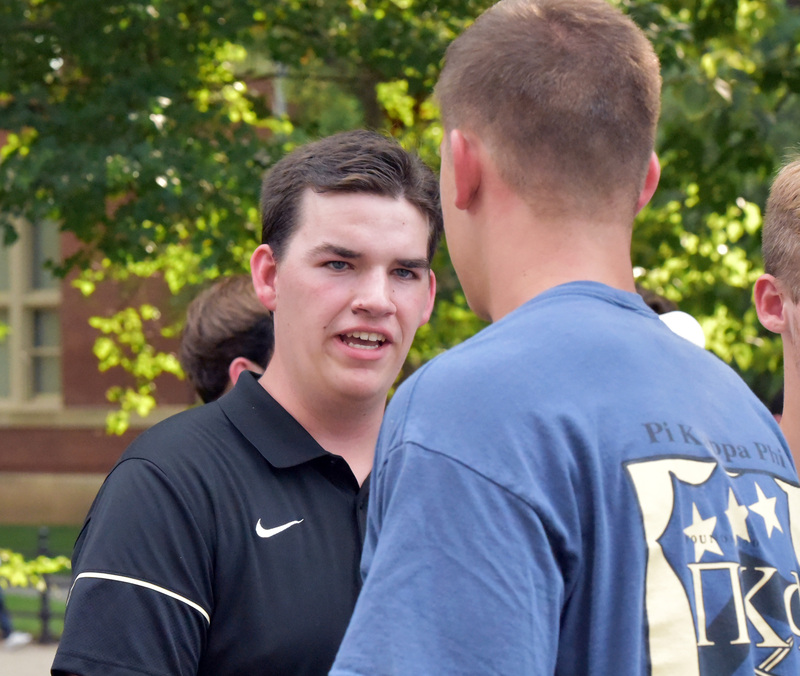 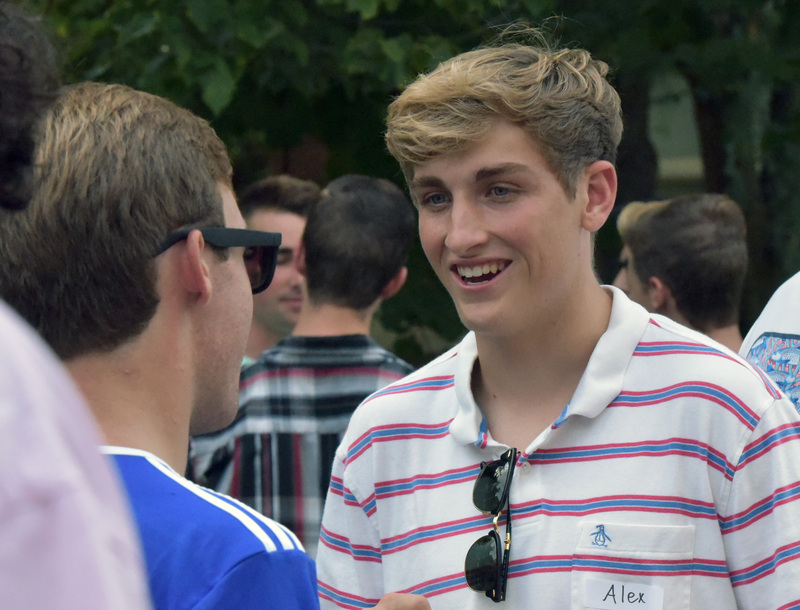 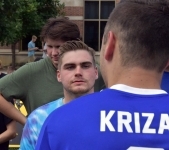 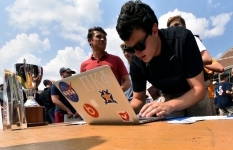 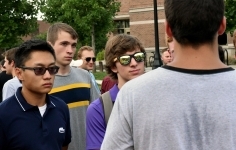 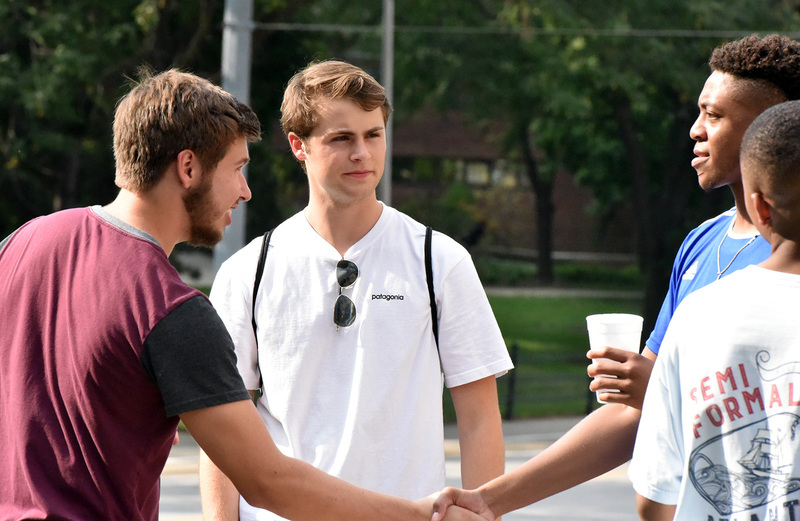 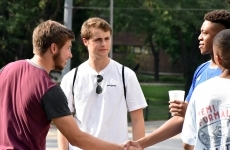 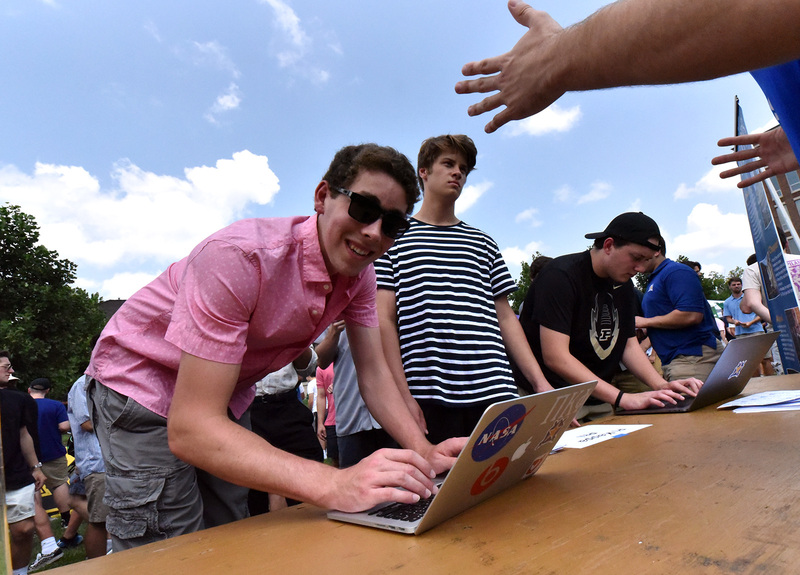 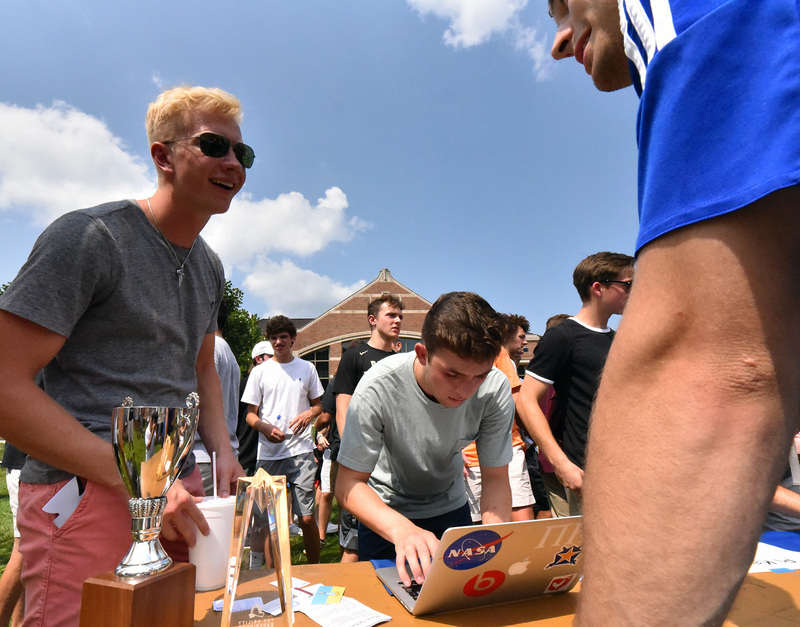 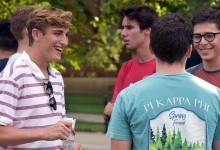 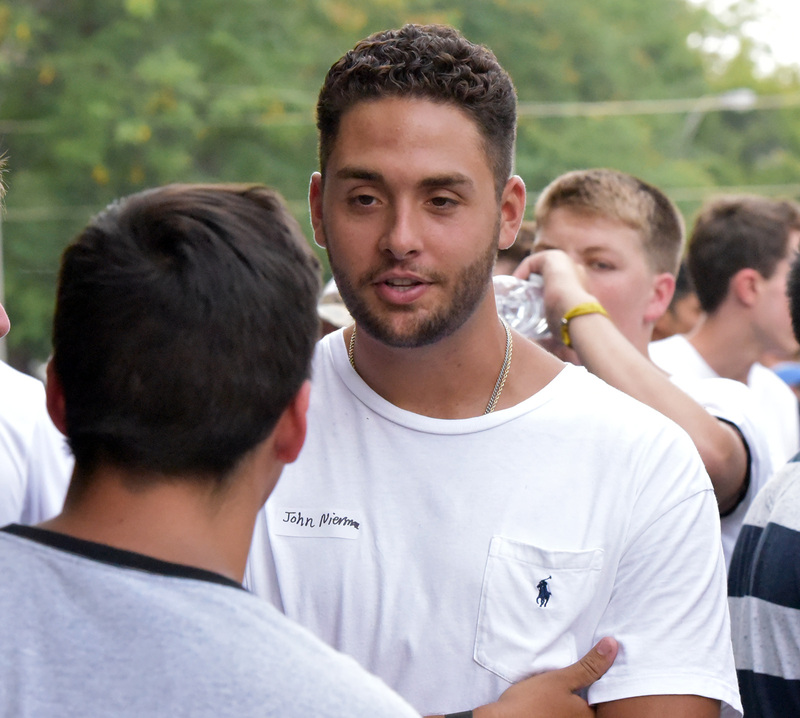 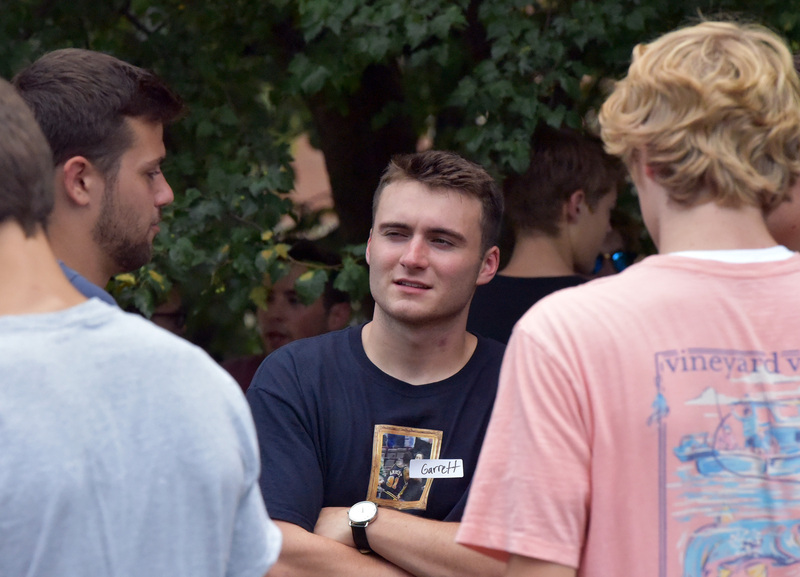 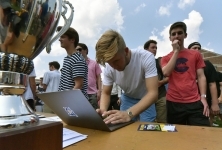 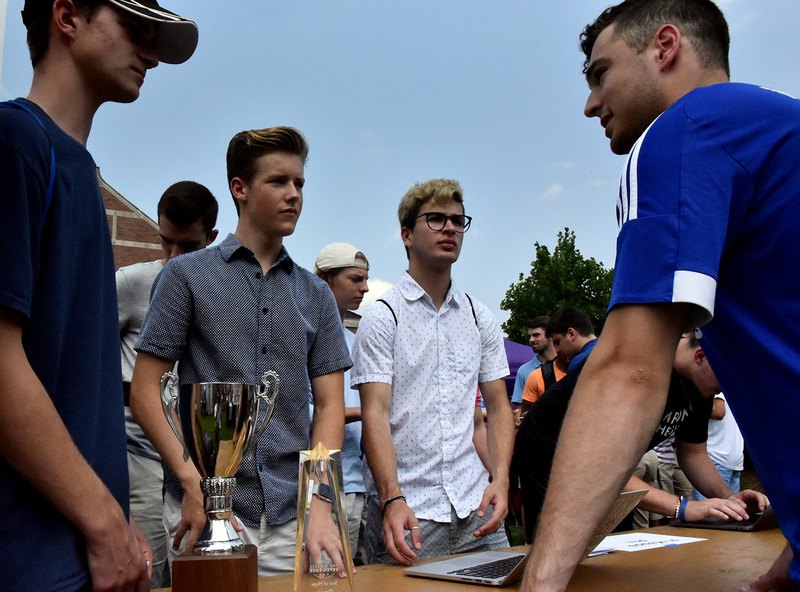 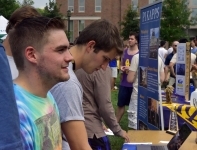 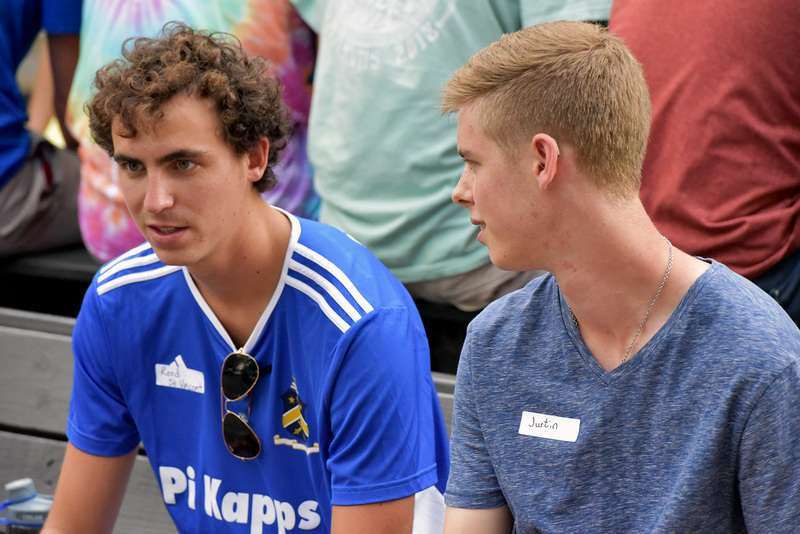 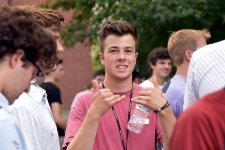 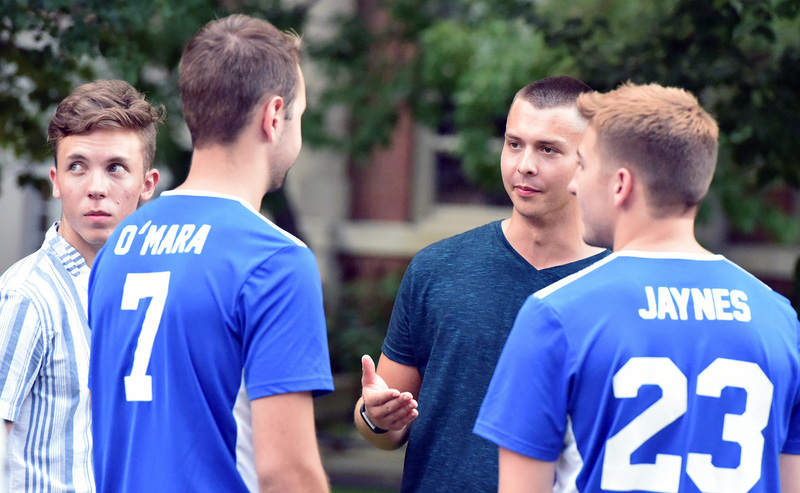 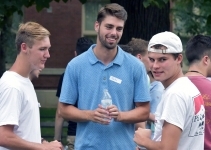 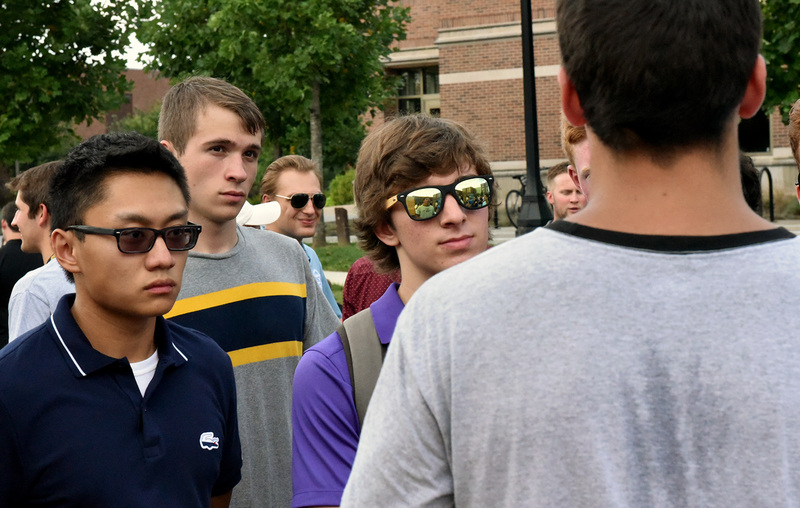 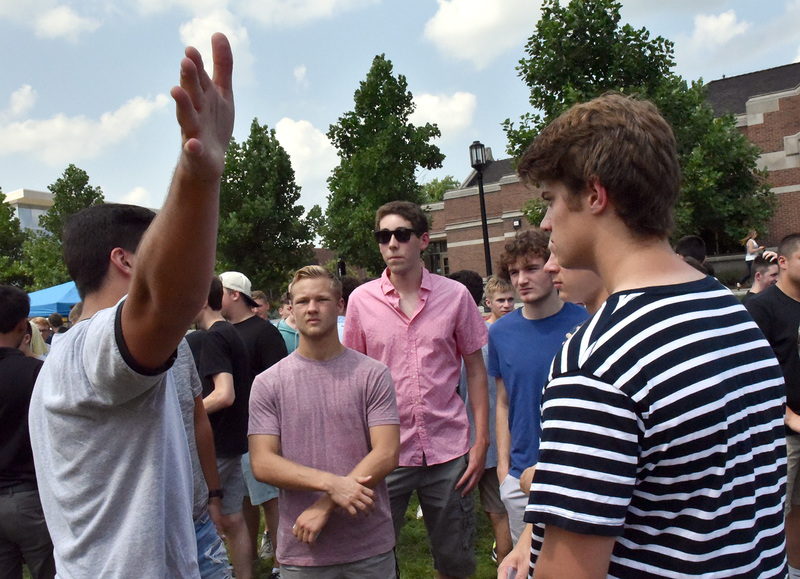 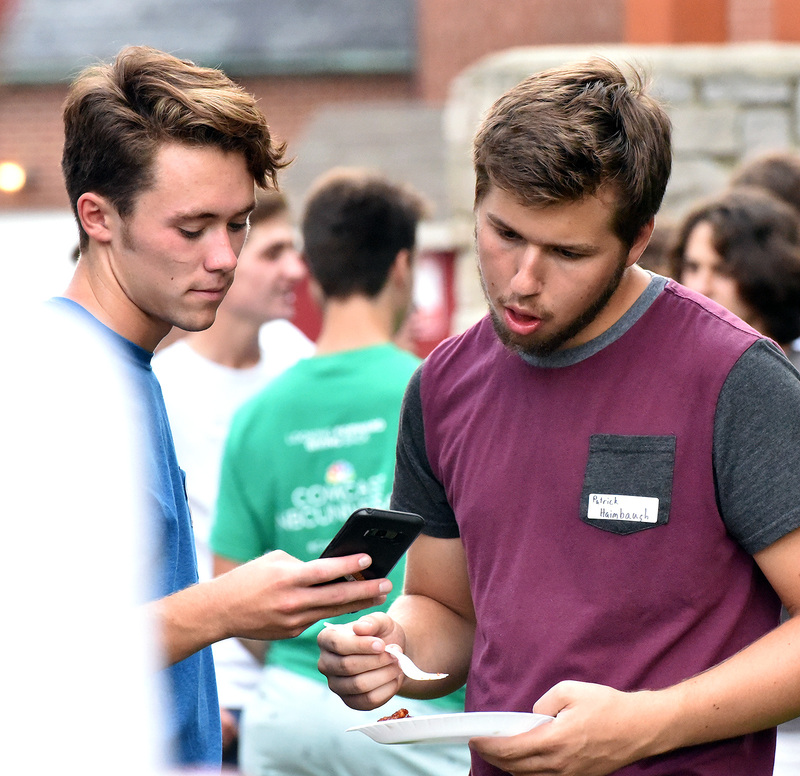 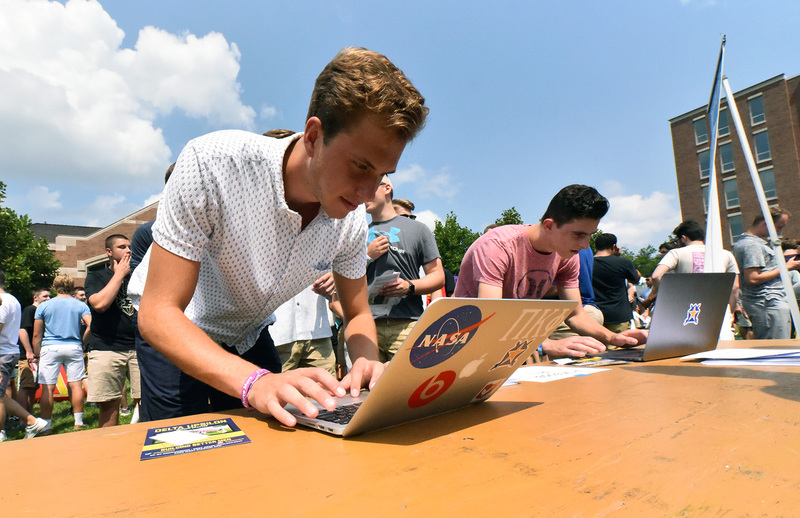 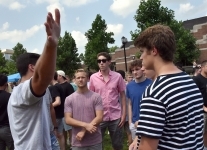 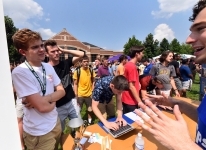 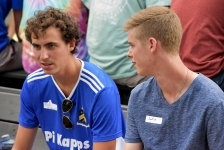 Nearly 350 men visited the Pi Kappa Phi booth during the campus-wide “Meet the Greeks” open house on the mall on Aug. 19, just north of Krach Leadership Center on the west side of campus. Then more than 100 attended the first event at the chapter house, 330 N. Grant St., later Sunday night. 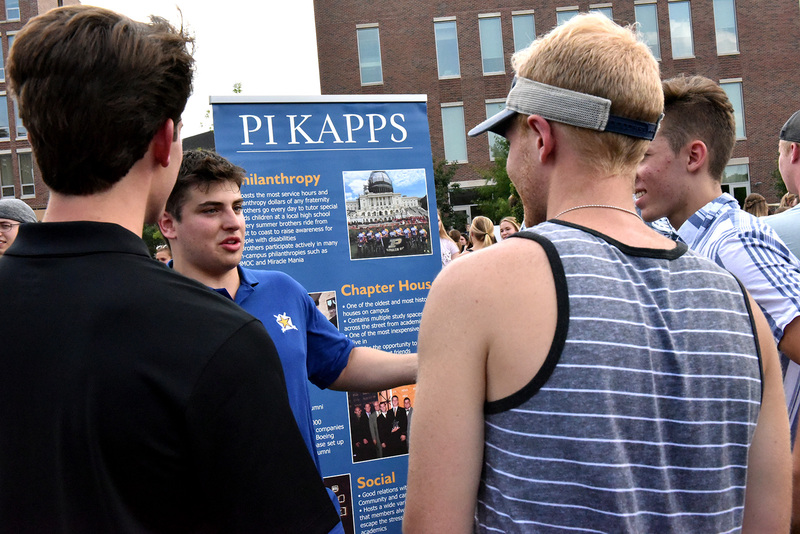 Prospective members are learning about what makes Pi Kappa Phi the leader among the 40 fraternities on campus. The chapter is arguably the best in philanthropic efforts and fund raising for such causes. Furthermore, it ranks among the top in size of chapters on the Purdue campus and in grades. 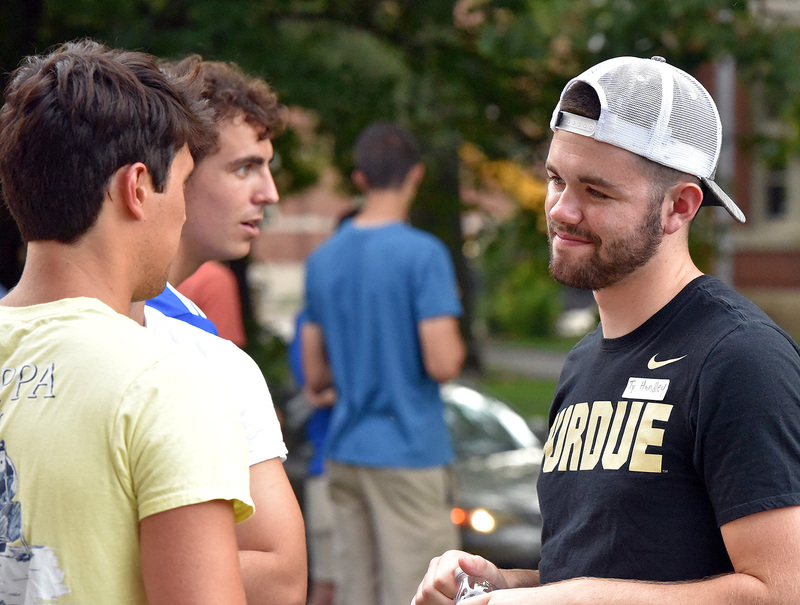 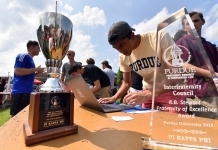 There are 40 recognized fraternities on the Purdue campus. 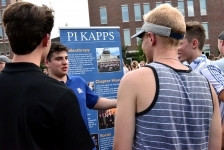 Pi Kappa Phi recruitment will continue from 6 to 8 pm., on Monday, Tuesday, Wednesday and Thursday this week. 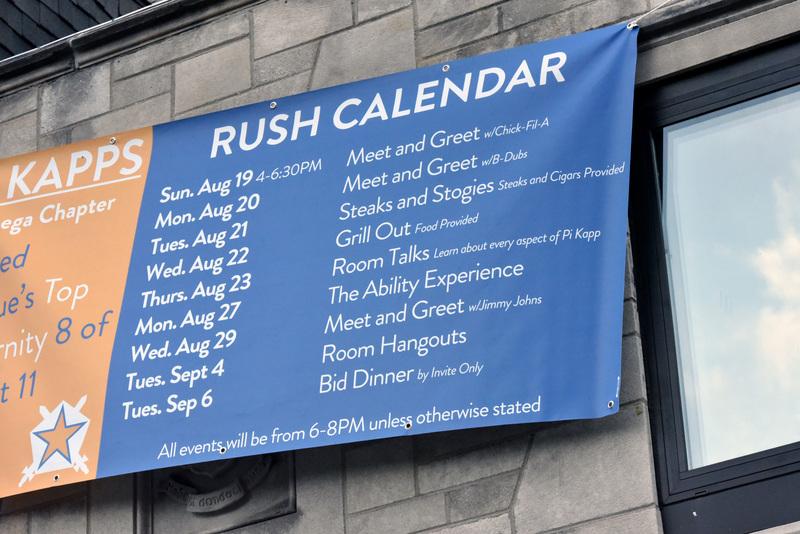 All events will be held at the chapter house, 330 N. Grant St. Potential new members should note that on Monday, Aug. 27, it will host a panel discussion explaining what the chapter does with The Ability Experience (abilityexperitence.org), the national fraternity outreach to assist people with disabilities. 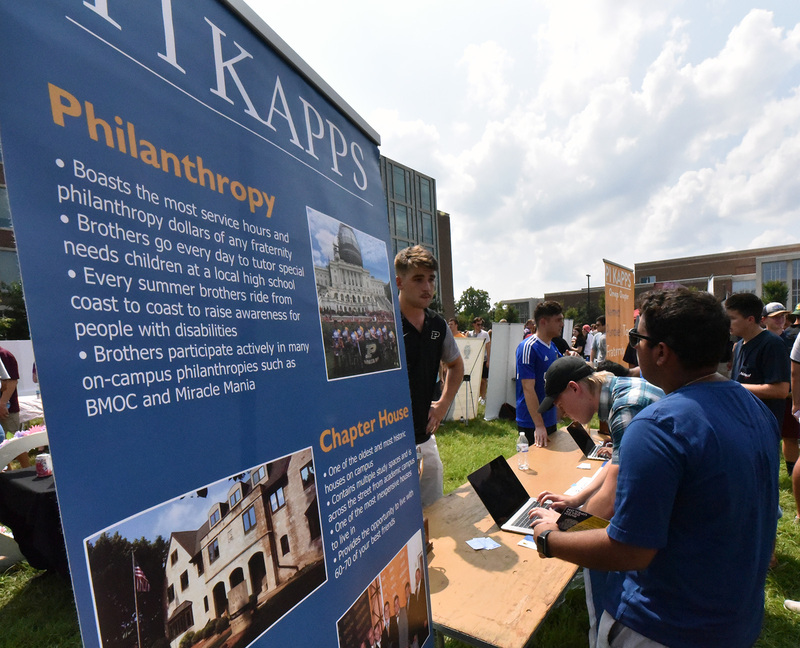 The chapter has fund-raising and service events throughout the academic year supporting the disabled. 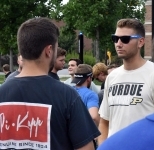 The chapter’s servant leadership programming helps set it apart from other Purdue fraternities.